If you are a resident of Mansfield, MA you've probably already heard of the Sharon Music Academy. You've listened to our students voice performance at your friend's home, school concert, public park or on local cable TV station. You've probably also read about our students' achievements and about our Academy in the Sun Chronicle, Wicked Local Mansfield, Boston Globe or online. At the Sharon Music Academy our goal is to help our students discover the power of their voice. At SMA, you will learn to sing as you have always wanted. We will teach you how to increase your range, enhance your vocal quality, sing without a "break", gain confidence, and learn vocal technique that will enable you to sing with a healthy voice. 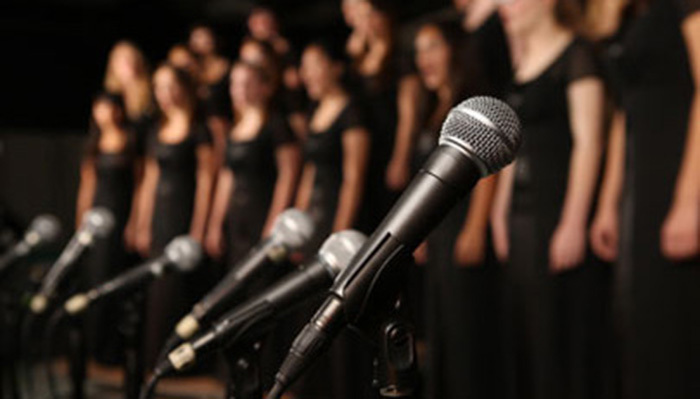 Whatever your singing goals are – whether it be auditioning for the school musical, improving your performance in a church choir or to being an “American Idol” - we can help you achieve them. 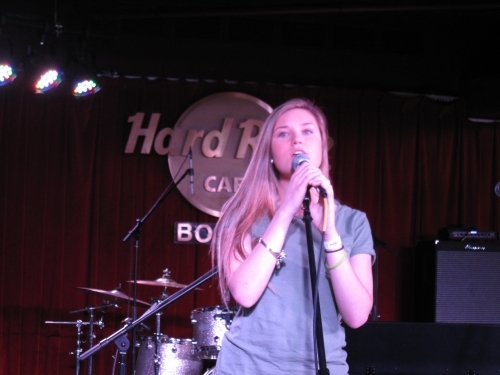 We offer our students unique performing opportunities - from singing on the stages of Carnegie Hall and Hard Rock Cafe to Providence Bruins halftime performance. Our students successfully auditioned to sing various leading parts in many locally produced musicals. You can find some vocal performances of our students in our Media Archive. We begin with tuning because it is the most important aspect of singing. Once you learn to stay in tune, other aspects like breathing, range, and articulation, became much easier. Tuning is the most complex and effort-consuming process and requires special knowledge and techniques, all of which we will teach you. For children ages 8-9 we offer "Disney Tunes" ensemble program, which introduces children to the art of singing. Register for voice lessons online or contact us if you have any questions. Q. At what age can I start voice lessons? A. We start working with children at age 7. Prior to age 7, we recommend that young singers find a choir to join or begin learning an instrument such as piano, recorder or violin to develop their music skills. Q. Are there any benefits to vocal training? A. There are numerous benefits to vocal training: increased energy, improved physical and emotional awareness, greater physical and vocal strength, vocal confidence (both speaking and singing), increased vocal range, clearer articulation, a fully resonant sound, knowledge of music reading, literature, and languages, and experience with a variety of musical styles, etc. Q. What styles of music do you teach? A. Our teaching process provides a student with a foundation, which allows him or her to master any style: classical, musical-theatre, jazz, pop, folk, country, R&B, etc.